Jason Derulo has revealed the tracklist for his upcoming fourth album. 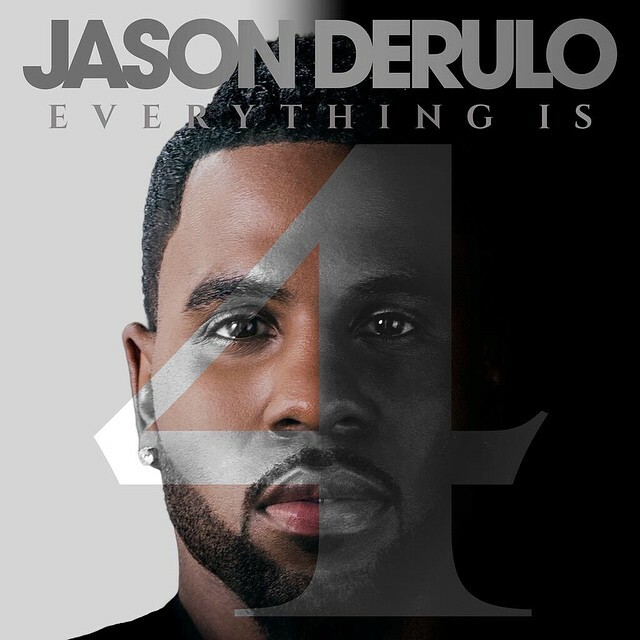 The singer/songwriter is scheduled to release “Everything is 4” on June 2 under Beluga Heights and Warner Bros Records. Lead single “Want to Want Me” – which was produced by Ian Kirkpatrick and co-written by Lindy Robbins, Sam Martin and Mitch Allan – is now available for download via iTunes and all other digital outlets. The follow-up to 2014’s “Talk Dirty” boasts further songwriting contributions from Sean Douglas (Madonna, Demi Lovato), Ross Golan (Eliza Doolittle, Colbie Caillat) and Guordan Banks (Keyshia Cole, John Legend). Album producers are Jason Evigan (Bebe Rexha, Selena Gomez), Denarius “Motesart” Motes (Sia, Celine Dion), Warren “Oak” Felder (Toni Braxton, Chris Brown) and Steve “Aceface” Mostyn (Ella Henderson, Jessie Ware). Peep the tracklisting for “Everything is 4” below. Bebe Rexha has unwrapped the artwork for her upcoming debut EP. 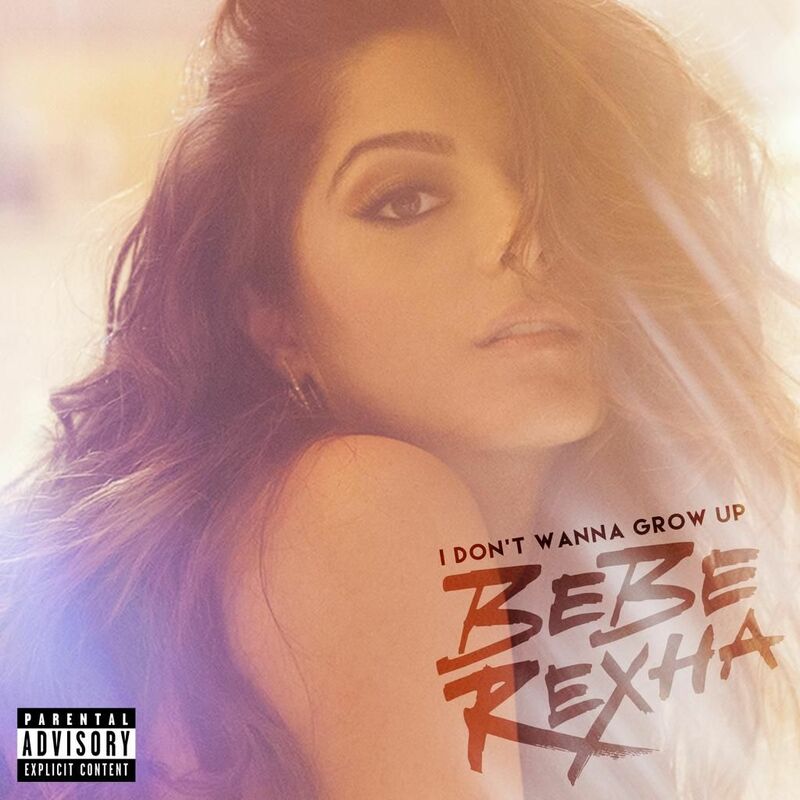 The singer/songwriter is scheduled to release “I Don’t Wanna Grow Up” on May 12 via iTunes in partnership with Warner Bros Records. Lead singles “I Can’t Stop Drinking About You” and “I’m Gonna Show You Crazy” are now available for download from all digital outlets. Among the musicians backing Rexha on the EP are Jason Evigan (Madonna, Jason Derulo), Lauren Christy (Chris Brown, Jamie Foxx), Jon Levine (Selena Gomez, Nelly Furtado) and The Monsters & the Strangerz (Sia, Maroon 5). On the songwriting front, Rexha has contributed to the forthcoming studio albums by Usher [RCA Records] and Becky Hill [Parlophone Records]. 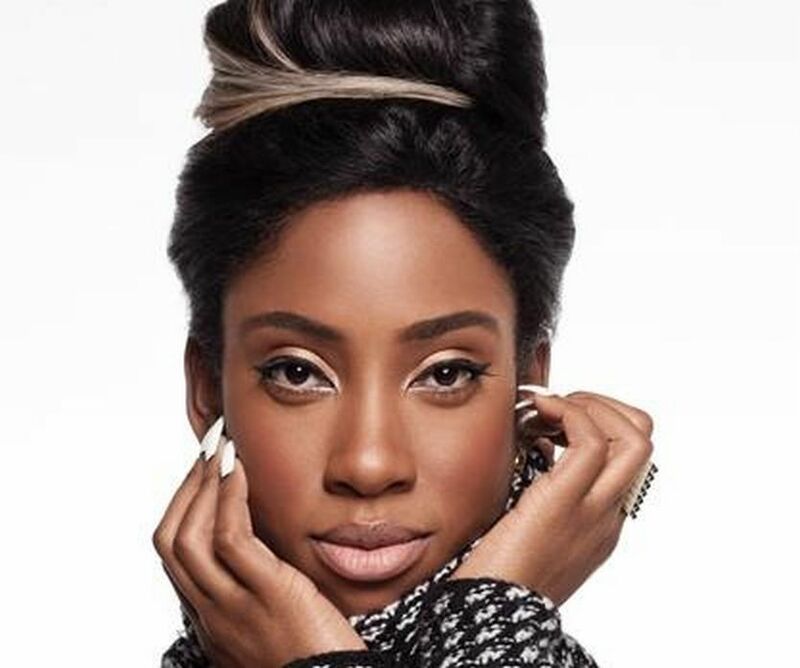 Her previous songwriting credits include David Guetta’s “Hey Mama” [Parlophone], Tinashe’s “2 On” [RCA], Nikki Williams’ “Glowing” [Def Jam] and Eminem’s “Monster” f/ Rihanna [Interscope]. Ellie Goulding has collaborated with Mozella on new music. “Dark studio times with the bae @mozellamusic,” the British singer/songwriter posted to her official Instagram account on Tuesday (April 28, 2015). Mozella – real name Maureen McDonald – previously co-wrote “Wrecking Ball” by Miley Cyrus [RCA], “Tumbling Down” by Tessanne Chin [Republic], “Living for Love” by Madonna [Interscope] and “Secrets” by Mary Lambert [Capitol]. Her extensive resume includes additional works for Pixie Lott [Virgin EMI], Tinashe [RCA], Rihanna [Westbury Road Entertainment / Roc Nation], Pia Mia [Interscope], Cheryl [Polydor] and Kelly Clarkson [RCA]. Meanwhile, Goulding will release her third studio collection later this year under Polydor Records (UK) and Interscope Records (US). The follow-up to 2012’s “Halcyon” reportedly boasts further productions and songwriting contributions from Carl Falk, Rami Yacoub, Stephan Moccio, Jimmy Napes, Mikky Ekko, and Greg Kurstin. Current single “Love Me Like You Do” – taken from the original motion picture soundtrack “Fifty Shades of Grey” – is now available for download via iTunes. The track was written by Tove Lo along with Savan Kotecha, Ilya “KnocDown” Salmanzadeh, Ali Payami and Max Martin. Raye has shared a new song online. The British singer/songwriter posted the audio clip for “Alien” – featuring Avelino – to her official SoundCloud channel on Tuesday (April 28, 2015). Production duties on “Alien” were handled by Chris Loco, whose other credits include Raleigh Ritchie’s “Stronger Than Ever” [Columbia], Kylie Minogue’s “Fine” [Parlophone] and Professor Green’s “Lullaby” f/ Tori Kelly [Virgin EMI]. Raye’s debut project is expected to hit stores and digital outlets later this year under Universal Music Group / Polydor Records. On the songwriting front, Raye co-penned Blonde’s new single “All Cried Out” along with group members Jacob Manson and Adam Englefield. The Lucas Secon-assisted / Alex Newell-featuring track is now available for download via iTunes in partnership with Parlophone Records. Meanwhile, fans of Chris Loco’s production work should peep the next projects by Emeli Sande [Capitol], Ella Eyre [Virgin EMI], Kwabs [Atlantic], Becky Hill [Parlophone], Melissa Steel [Atlantic] and Sinead Harnett [Virgin EMI]. Listen to the audio clip for “Alien” below. 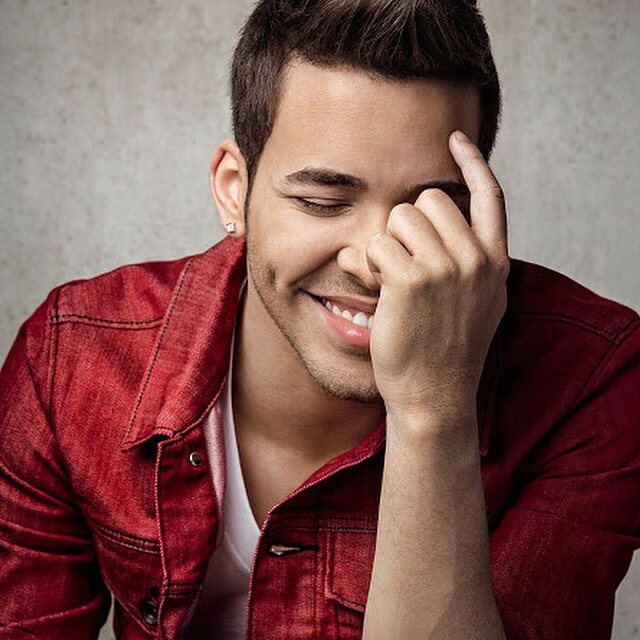 Prince Royce has confirmed the details for his new single. The singer/songwriter christened “Back It Up” – featuring Pitbull – as the next promotional cut from his upcoming English album under RCA Records. “Back It Up” was co-written by Savan Kotecha, whose other credits include Tori Kelly’s “Nobody Love” [Capitol], Ellie Goulding’s “Love Me Like You Do” [Republic] and Christina Aguilera’s “Your Body” [RCA]. Production duties were handled by Ilya “KnocDown” Salmanzadeh, who is also responsible for Ella Eyre’s “Comeback” [Virgin EMI], Jennifer Lopez’s “First Love” [Capitol] and Ariana Grande’s “Problem” f/ Iggy Azalea [Republic]. Previous single “Stuck on a Feeling” – which was helmed by Ross Golan, Sam Martin, Daniel “Robopop” Omelio and Jason Evigan – is now available for download via iTunes and all other digital outlets. For his next studio collection, Royce has also collaborated with RoccStar (Fergie, John Legend), Lil’ Eddie (Usher, Kylie Minogue), Steve “Aceface” Mostyn (Sia, Jennifer Lopez) and Warren “Oak” Felder (Rihanna, K. Michelle). Watch the music video for “Stuck on a Feeling” below.